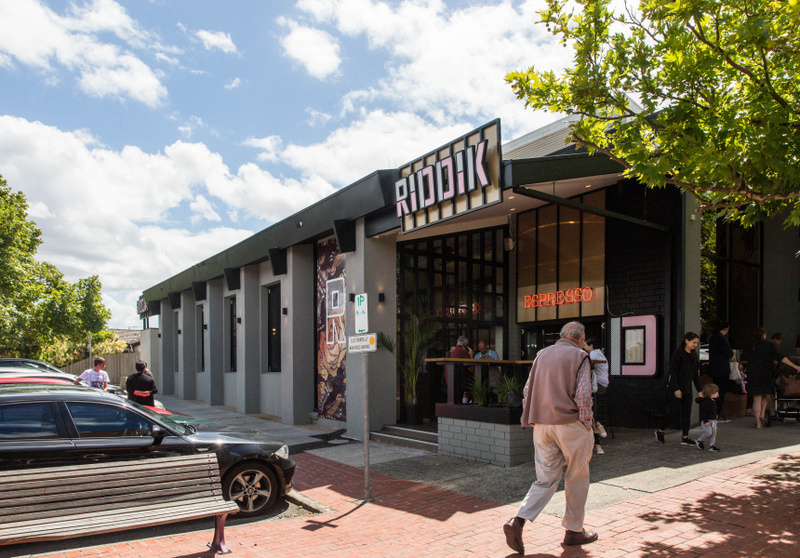 Riddik, a 130-seat cafe, bar and restaurant, opens in Macedon Square. 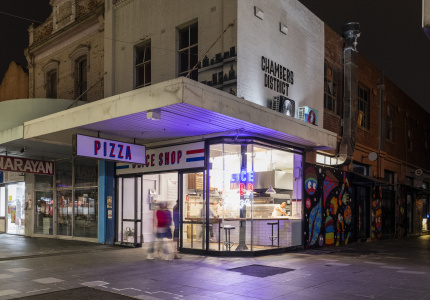 Earlier this month, Riddik moved into an old ANZ branch among a collection of restaurants, takeaway stores and grocers that have been residents of Macedon Square in Lower Templestowe for decades. Husband and wife Andrew and Michelle Wagner, and Michelle’s brother George Kelzi, are the new eatery’s owners. 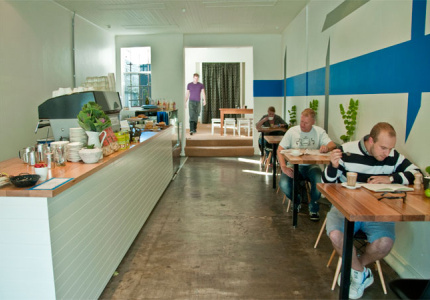 The trio used to own Penny House cafe in Richmond, and prior to that Andrew opened Richmond’s 7 Grams. “Myself and Michelle grew up in nearby Bulleen,” says Kelzi. 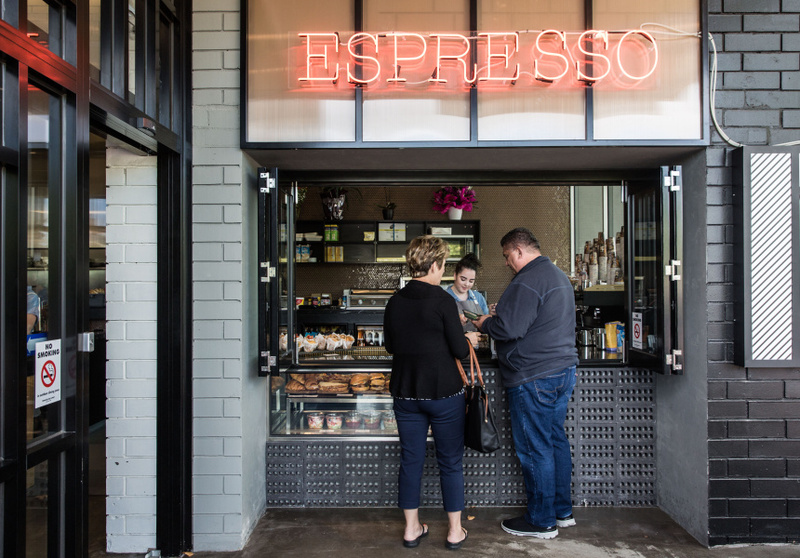 “I’ve been coming to these cafes in Macedon Square for about 30 years. When the ANZ closed down, we kept our eye on the space and leapt on it when it was available. 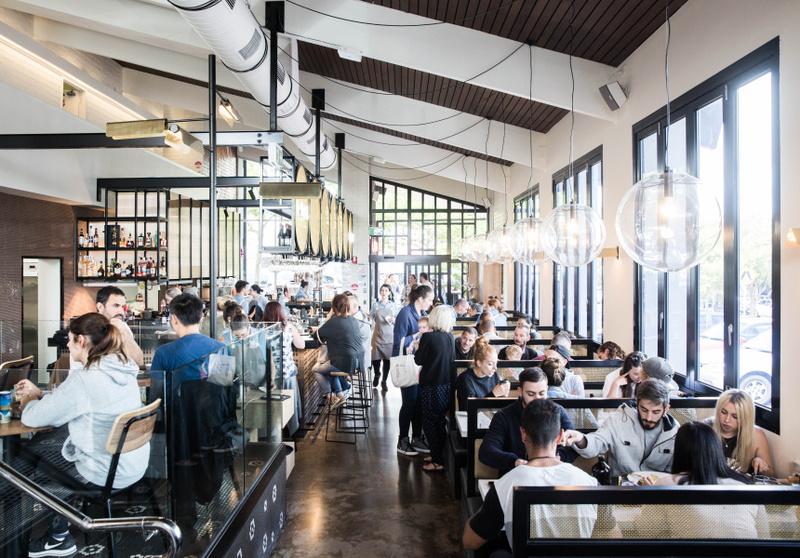 A mural of a woman by street artist Tarek presides over the spacious, polished diner, which Melbourne’s Studio Equator has fitted with lots of natural stone and gold accents. 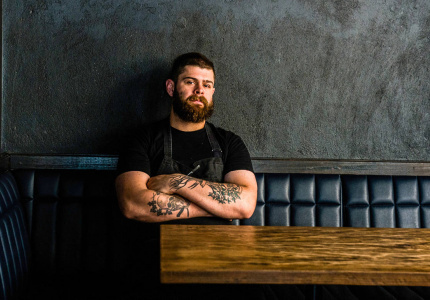 Head chef Adam Robins, who has come from heading the kitchen at Penny House, says his menu is designed “to make everyone happy”; it has a mix of simple dishes and more elaborate options. 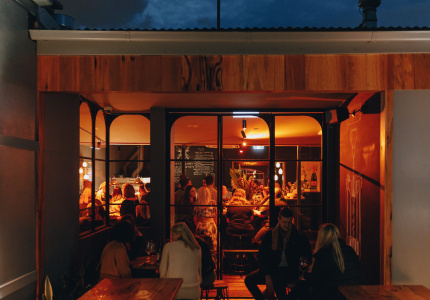 The dinner menu is expansive, with everything from pulled-chicken nachos and charcuterie, to penne bolognaise. A strawberry-cheesecake-stuffed French toast is one of Robbins’s favourite breakfast dishes. 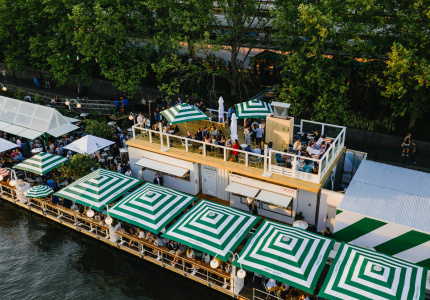 Eggs come in numerous forms – on rosti; in a smoked-duck omelette; with garlic and herbed mushrooms; with crispy soft-shell crab and slaw on sourdough. Ingredients on the breakfast board change daily. At lunch, try the coffee-rubbed beef burger – the patty is marinated with Code Black grinds.